From the same folks that gave you Mr. Churros comes Black Wagyu, a food stall serving freshly cooked beef wagyu cubes. I was really excited to try it out and I was not disappointed one bit. In fact, I think I got sent to heaven the moment I swallowed a beef cube. It was a fascinating experience to say the least. One stick containing 4 cubes only costs P100. That is such a good price for premium high quality meat at a great taste. 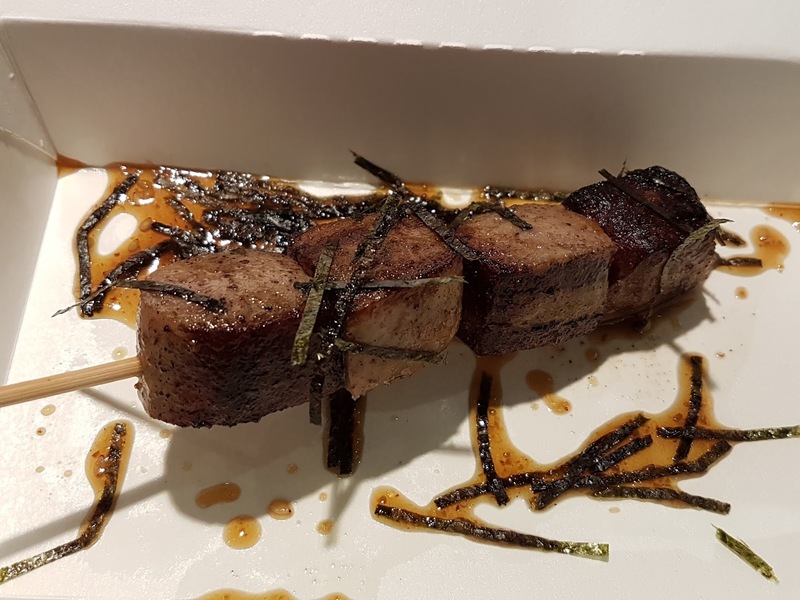 I'm not ashamed to admit that these beef cubes are so addicting. If you have an event coming up then you can avail of their party packages. If there's anything better than these yummy beef cubes, it's putting them on top of rice. 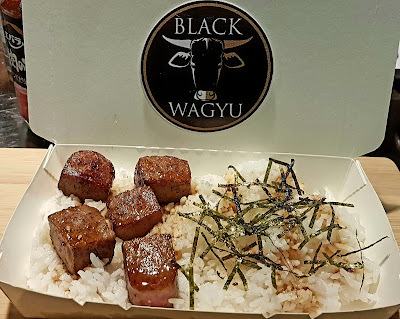 The only thing I wished for was an option for another cup of rice but there is always the option of getting another one of this rice topping as another batch of wagyu cubes would only make it better. For those who are trying to avoid rice, they have a healthier option that puts the beef cubes in a sandwich. Lovebirds Cheena and Clynton sure impressed me with their latest food concept and I can only see good things for it in the future. 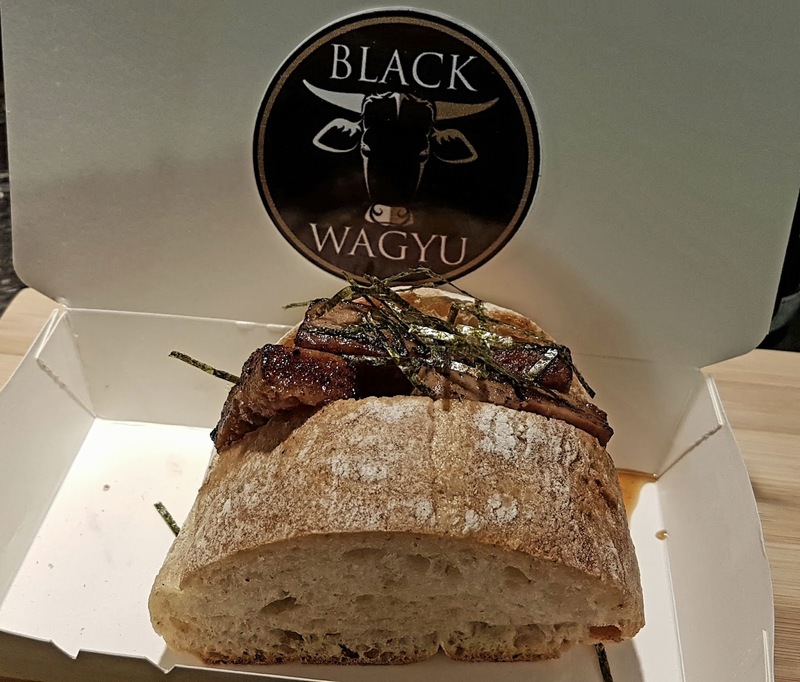 Follow their Instagram at @blackwagyuph for the latest updates on where they will be at next.